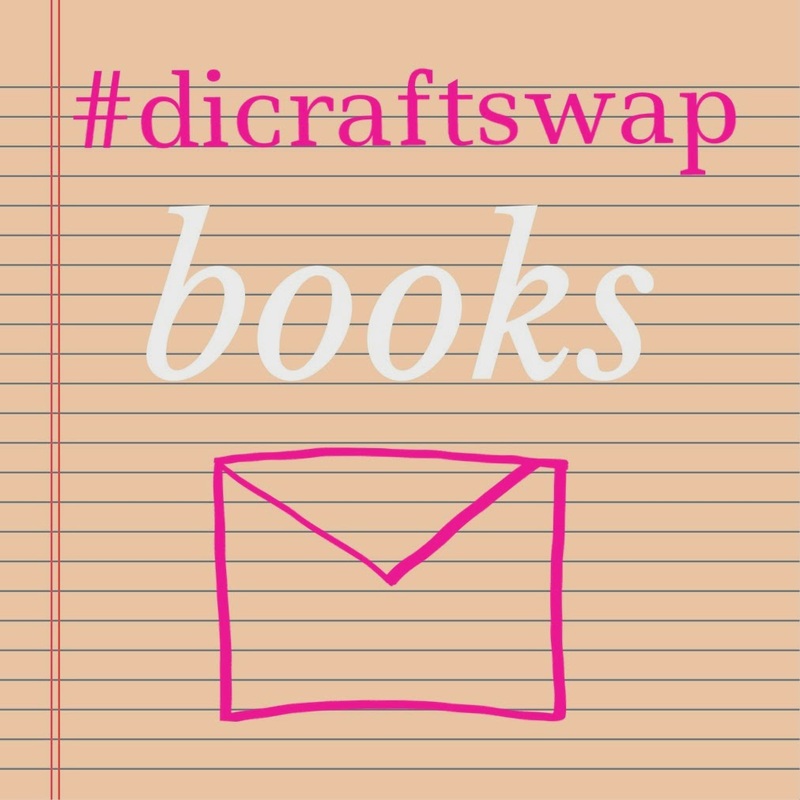 This month's #dicraftswap (as usual organised by the wonderful blogger Hannah over on Dainty and Ivory) was based on books - a theme suggested by me! I've noticed most bloggers seem to really like reading, books, and snail mail (both ironic and not if you get my meaning) and so a theme of books was what first popped into my head when Hannah sent out an email asking for ideas. And then funnily enough I drew a blank when it came to deciding what to make! Particularly strange as I was given Cate (see her lovely blog here) and her taste in books is really just like mine; magical, adventure, something you can get lost in, and just anything really! But I had said I wanted to try and move away from crochet for this one (see my posts on the first two crocheted swaps I took part in here and here) and so I put together a pinterest board on book crafts and racked my brains. I decided to partake in some classic decoupage and upcylce a plain notebook with an old book that was falling apart and no one had ever read in my house. Seriously, please don't hate me, it was called The Pilgrim's Journey and it was just...you know? I covered the book then with some glittery Mod Podge - an american pva based glue used for finishing or for sticking; I found some glittery stuff and had to use it! I then edged the covers with some washi tape (as a matter of fact I received in my last craft swap!) to try and give it a pretty finish - what do you think? Then I realised I really couldn't not crochet, it seems to be a theme with me! I crocheted these two small flat dragon motifs to try and appeal to Cate's like of magic/adventure - and also dragon's are cool - and hopefully she can use them in her patchworking or scrapbooking, which she said she would like to get into. I hope she likes them all! I received, from Sarah-Jane over at Just a Crafty Mama two GORGEOUS goodies! I am happy to report the book bag work's excellently! Oh my, not only what you have made is gorgeous (and don't feel bad about tearing a book up!) those Dragons are awesome!! but being a Star Wars fan I am extremely jealous of the gifts you have received. Amazing!